Social media skeptics say LinkedIn is where the adults hang out on social media. Successful social sellers know that LinkedIn is where the money is in social media. Here’s our take on boosting your presence on LinkedIn to drive personal and business success. For those who don’t understand the power of LinkedIn, the pop culture explanation of the platform is that it’s just a place to post your resume when you’re looking for a new job. That’s akin to praising electricity because it can make pretty sparks under the right conditions. While true, both statements miss the true power of the medium. As with electricity, a fully developed LinkedIn presence can power cities, answer vexing business connections, and most important for LinkedIn power users, establish targeted, meaningful relationships that produce measurable ROI. So before you read on, put aside for a moment whatever preconceived notions you may have about the pop culture explanation of LinkedIn. Prepare to unleash the real power of the most powerful social media business platform. We promise, it’ll spark your imagination and a whole lot more. If you use LinkedIn, you’ve probably seen some people you know show up in your timeline because they now have what appears to be a “new job.” And, dozens of people will wish them well, which is all fine and good. The problem is that it isn’t a new job. That person was simply updating their profile and because they left a button checked, it notified their entire network of connections of every minor change made to their profile. While it’s vitally important to keep your profile up-to-date and with fresh new content, avoid letting your network know when you add job duties, or make edits to the page. How do you avoid this? On the right hand side of your page, you’ll see a box: “Notify your network” and underneath, “No, do not publish an update to my network about profile changes.” Check the “no” button. There just might be times you want to notify the network, however—perhaps if you add an award or a new certification. Or, you have a new video, image or presentation to post. By understanding the tools within the site, you’ll strategically draw attention to your profile because of your expertise rather than by simple profile housekeeping, which can cause confusion amongst your connections. LinkedIn “groups” are a tremendous space where you can showcase your expertise and thought leadership. When you’re using the tool, search for and join groups relevant to your industry, your prospects’ industries and groups in which your targeted prospects are participating. Once you join a group, be sure to engage in conversations and share your expertise on topics being discussed in the forums. These discussions can help you find prospects and prospects find you. We’ve seen firsthand with our clients how they have actually closed business simply from responding to an inquiry in a group relevant to their industry or profession. Another huge benefit of being in a LinkedIn group: You can view the complete profile of any shared group member no matter how many connections he or she is away from you. Usually, you can’t view the complete profile of someone farther away than a second connection. But don’t let the number of groups you join overwhelm your inbox. Once you join these groups, you can receive updates daily or weekly, based on what you choose in your settings. 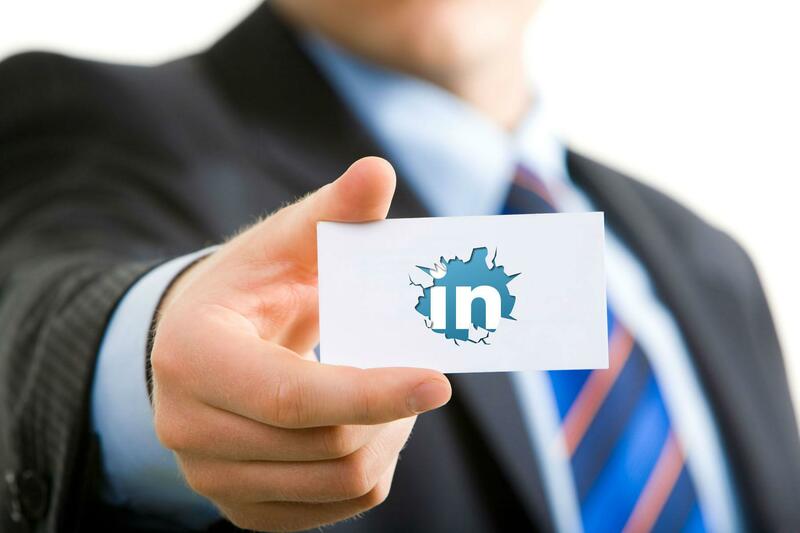 Yes, you can optimize your LinkedIn profile for SEO, just as you would a website. Take advantage of every opportunity to incorporate keywords in your profile. Be sure not to repeat the same keywords over and over, rather add relevant keywords sporadically and appropriately throughout your profile. This will help get you a boost in search results and improve your SEO. For instance, all profiles can list three links, which typically default to “My Company” or “My Website,” yet are completely customizable. By customizing the anchor text of the three links in your profile, you’re helping your profile rank in search results. Our friend Mike Volpe at HubSpot shows us how here. With videos, images, and documents to back up your words, you boost your credibility as a trusted expert in your industry — one who takes the time to provide direct examples of past successes. Are you harnassing the power of LinkedIn as a lead generation resource? Download our Seven Step Program to Generating Leads on LinkedIn!